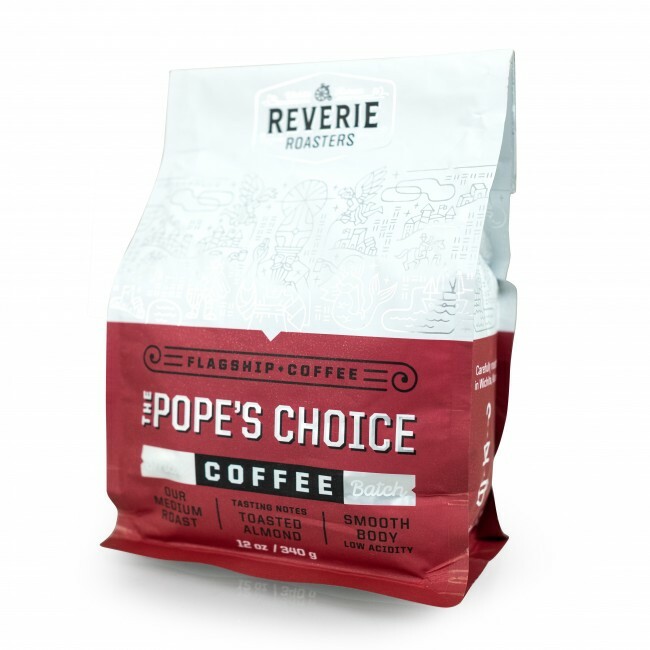 The Pope’s Choice is Reverie Roaster’s medium roast blend. Featuring nutty, almond notes and a smooth body, this is a very easy drinker. Delicious in a variety of brew methods.